Last week the above piece of Guardians of the Galaxy Vol. 2 concept art was revealed by Empire, showing the team, and cute little baby Groot, battling some kind of tentacled monster. 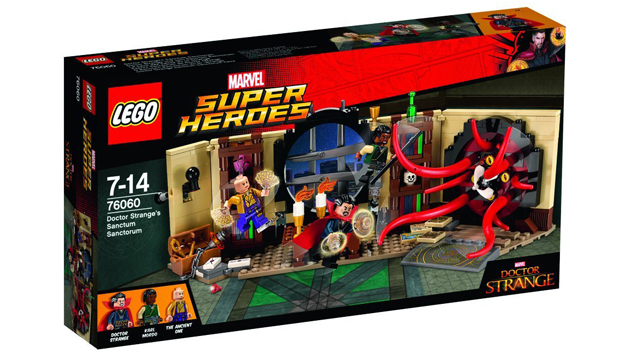 At first I thought (hoped) it was Shuma-Gorath, but no, it's something similar but not quite him. During a Facebook Live Q&A director James Gunn dropped some details on the creature that have led some to speculate on a connection with Doctor Strange. In regards to the creature, James Gunn replied to a fan question by saying "That’s an Abilisk, a multi-dimensional being, and the Guardians have been hired to fight him." That multi-armed creature fighting the Sorcerer Supreme and Wong looks mighty familiar. Could they be one and the same? Maybe the fight starts in Doc's Sanctum Sanctorum and he hires the Guardians to finish him off in another reality? In the comics, Doctor Strange helped the team travel to other realities all the time to fend off powerful foes, and we may be seeing that happen on the big screen. It does seem as if Marvel wants Doctor Strange to be the new connecting hero throughout the MCU, similar to how Iron Man is now. Recent Thor: Ragnarok set photos (which you can find here because I hate posting set photos) have teased yet another potential crossover. Gunn went on to suggest that this may be his final Guardians of the Galaxy movie as director, although he didn't confirm anything for sure. Of course he wouldn't make that kind of statement now. If he does go it could have something to do with the team being further integrated into the MCU, meaning future movies would be able to stand on their own quite as much. "Obviously, Baby Groot is much different than Groot in the comics. He’s not just grown Groot; he’s, y’know, different ... Don’t expect Baby Groot to do too much changing in the second movie." Unfortunately, he didn't address Vin Diesel's comments the team would be appearing in Avengers: Infinity War, perhaps because that info shouldn't have been shared to begin with? Guardians of the Galaxy Vol. 2 opens May 5th 2017, preceded by Doctor Strange on November 4th 2016.